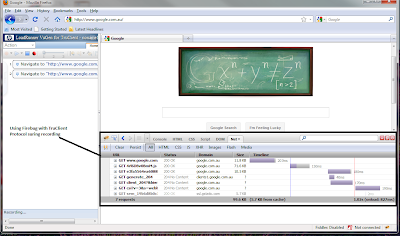 1: Select the TruClient protocol and then click Tools -> Ajax TruClient Browser Configuration option. An "Ajax TruClient Browser Configuration" popup window is displayed. 2: Click on "Extensions" tab. All existing plugin list will be displayed. See the screenshot below. 3: Click on "Get Add-Ons" button. All the recommended plugin list is displayed. 4: Type in "Firebug" in the search textbox and click "Search" icon. A result list is displayed. 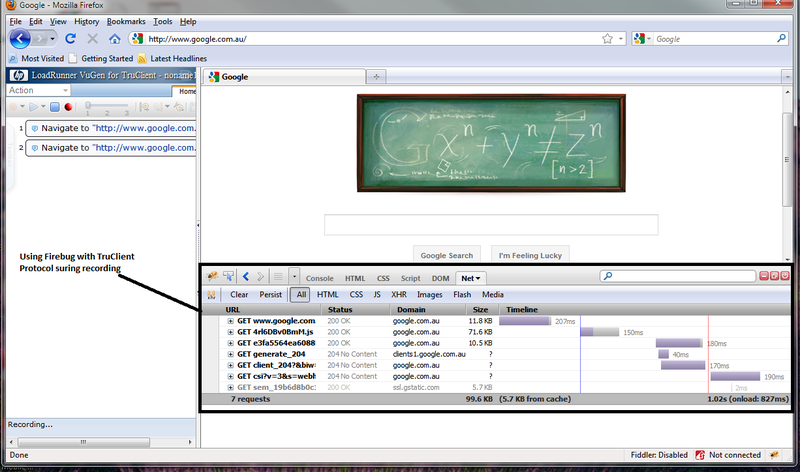 Incase you do not see the "Firebug" plugin, click on "See all results..." link. This will bring up the list of all the plugins in a browser. 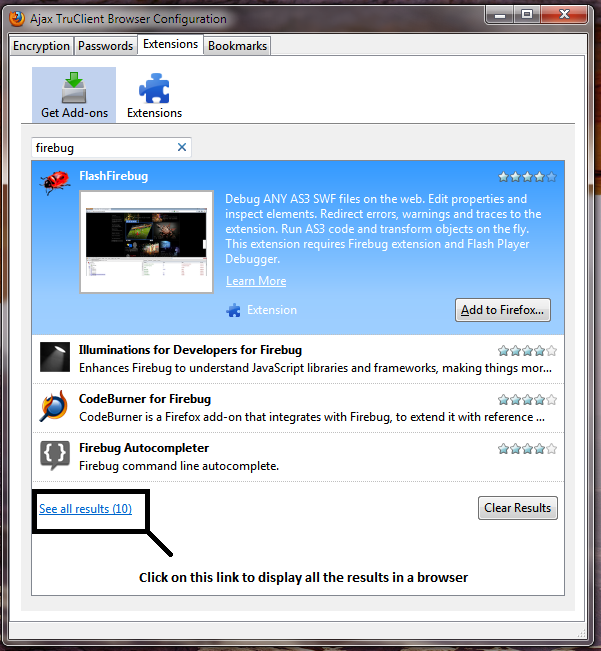 5: Click on "Add to Firefox" button next to the Firebug plugin and follow all the necessary steps. Once the Firebug is installed. Restart the Firefox browser. 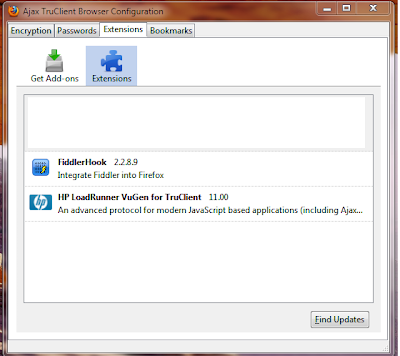 6: If the browser is open, close the browser and click "Develop Script" button in VUGen. This will open up a Firefox browser. 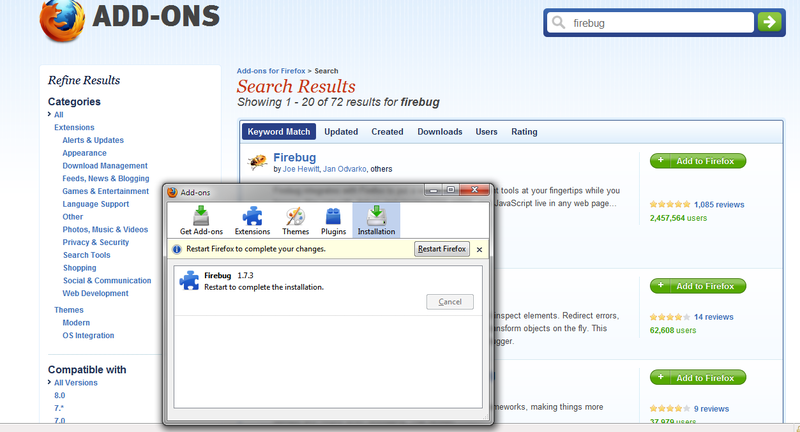 At the bottom right corner of the browser, you will now see a firebug icon. 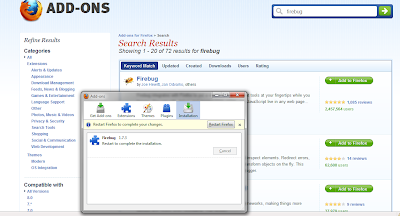 Firebug plugin is now ready to be used while you are recording a script using TruClient protocol. I am unable to find firebug add on in my search and also i am unable find see all result link.. please provide the alternative solution. What are you seeing when you try to do a search? I'm trying to record an application using Truclient protocol (HP VuGen11). 2) I went to Vugen > TruClient > develop script > firefox 3.6.3 > Few frames in my applications are showing an error saying 'The Java plug-in is not installed.The required version: 1.6.0_07' > then I went to VuGen > Tools > TruClient general client settings > Extensions and can see that required Plugins missing. I tried to copy plugin and extesions dll files form newerversion of ff to this vugen ff folders (may be not best practice), but it didn't work. Please let me know how can I install plugins in this case. What plugin are you trying to install.